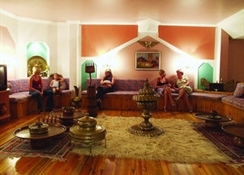 The Fame Hotel Kemer is located within easy reach of Kemer, where guests can enjoy many of the areaâ? ?s attractions, including restaurants and shops. 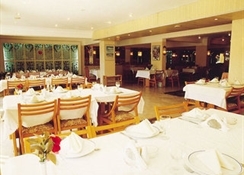 The hotel is also within a short drive of many of the Antalya areaâ? ?s cultural, historical, and natural attractions. The Fame Hotel Kemer is located within an hour of the Antalya International Airport, and guests will be able to drive to many of the areaâ? ?s attractions. 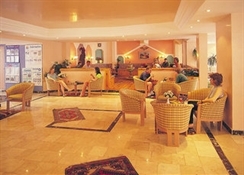 The 108 rooms (2 building) of the Fame Hotel Kemer are decorated in a modern style, and each of the hotelâ? ?s rooms offers amenities and contemporary comforts like telephones, satellite televisions, and private balconies. The hotelâ? ?s rooms are split between standard rooms, triple rooms, and family rooms. This modern hotel offers guests plenty of modern amenities, including a full-service restaurant. The hotelâ? ?s practical amenities include a 24-hour reception desk with around the clock check-out services and a hotel safe where guests can store their valuables. 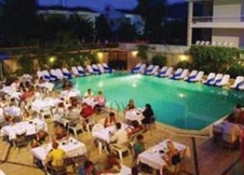 Guests who stay at Fame Hotel use restaurants, bar, beach and all activities at Fame Residence Park Hotel.